We are a team of helpful and committed people that support and inspire each other and work hard to deliver a exceptional service. If you are interested in joining a great company, take a look at our open positions. We are always looking for great people to join our team. Work during the week without giving up your nights or weekends. A MaidPro career typically pays 20% higher than similar level positions. Work by yourself or with a partner, staying active and on the move all day. Build rewarding relationships with homeowners as you build your clientele. We’ll take care of your commute by compensating for the miles you travel. We provide thorough training, uniforms and safe, effective cleaning supplies. Go as far as your ambitions can take you! At MaidPro, you can grow your career within one great company. 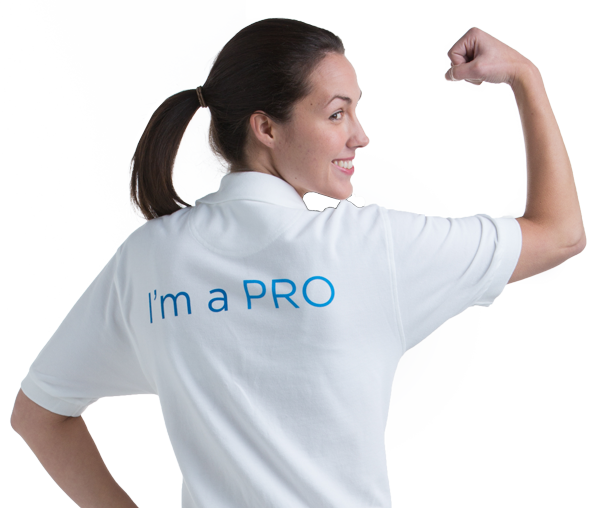 Pro PRO Help us make every customer's home squeaky clean. We are always looking for reliable, hardworking, friendly and professional people to join our team. Assistant Manager Assistant Manager Work closely with Management to ensure all quality concerns are recognized and proper measurements are taken. Manager Manager Help manage the general operations of the business—by working with advanced scheduling and customer account systems and supporting happy, hard-working employees. "MaidPro is a flexible job that provides me the opportunity to spend time with my son. I have been with MaidPro for four years and do not plan to leave! Ever!"